Starting this Monday, December 12, IPPUDO will be opening up their 5th restaurant branch in the Philippines. Serving delicious ramen since time immemorial (I'm exaggerating here), IPPUDO has captured the hearts and the tummy of the noodle loving Filipinos. Located in the EASTWOOD MALL in Quezon City, the 5th branch of Ippudo in the metro, would be serving the northern foodies. Furthermore, the first 200 customers would get free ramen by Reposting this poster on FB/IG (make sure it's on public). 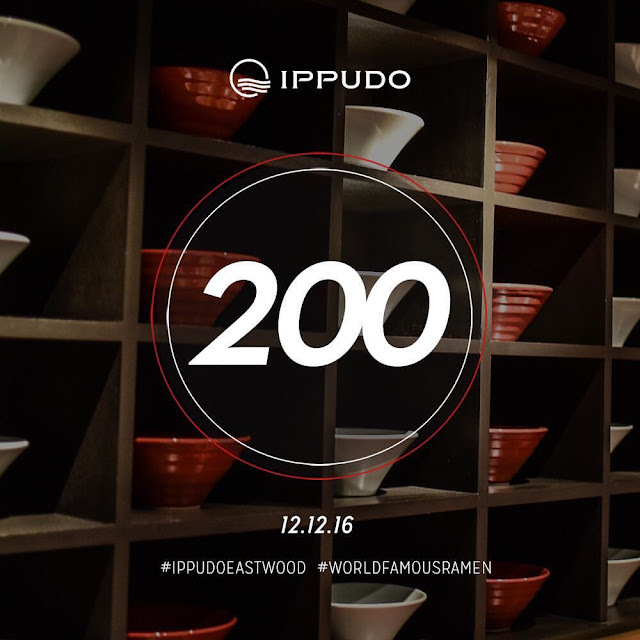 Then use the hashtags #IppudoEastwood and #WorldFamousRamen. Just take a screenshot as proof and show it to any Ippudo Eastwood Representative before lining up.